UID / Pearl / WWI / GLS / ISDI / IIAD etc. 6 Why Join BRDS ? Q. Are you a student of Bhanwar Rathore Design Studio ? Q. 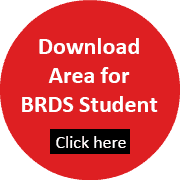 Do you have a BRDS Discount Coupon ? Note: Once above registration form is submitted, If you wish to proceed with online payment, click below. If you had selected Cash Deposit, Cheque, DD or NEFT / RTGS Please ignore this step.